ALTHOUGH she only learned to play the guitar as a diversion while studying for her Junior Cert exams, singing was Emma Langford’s first love. 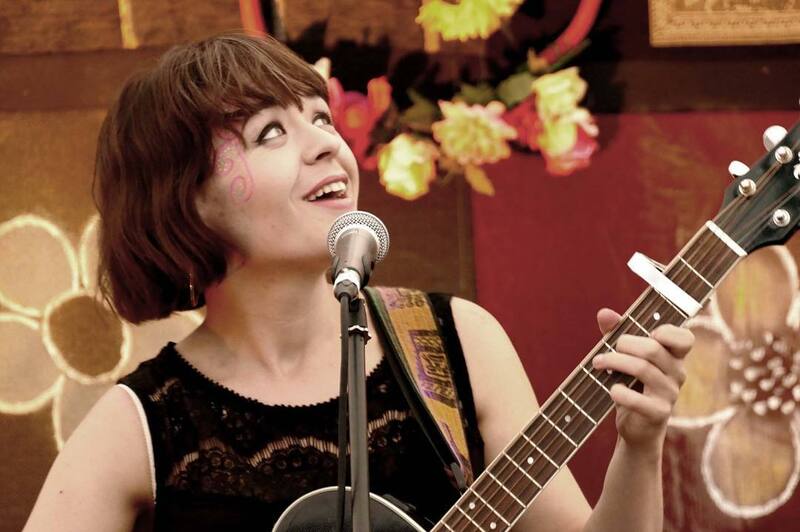 Having been expelled from playschool for living life as a musical, the singer-songwriter is now making waves not just in the Irish music scene but further afield. “I was always singing, I got in trouble the whole time as a kid for singing non-stop. I got expelled from playschool for singing non-stop. The teacher would give me a direction or give out to me about something, and instead of following that direction, I would sing it back to her,” Emma told the Limerick Post Podcast. As natural as the singing came to her, it wasn’t until her teenage years that she picked up a guitar and, even more recently, honed her skills as a musician. “I actually started out on drums. When I was 12 or 13 I really wanted to be a drummer. I started learning drums, and between various things – a big part of it being our house was never big enough to have a drum set anywhere that wouldn’t drive everyone crazy – it just didn’t work out. “But I picked up the guitar, initially, when I was doing my Junior Cert as a way of procrastinating. My mom had been trying to push the guitar on me forever. Then my Junior Cert rolled around and I was expected to study. “And to avoid that, I was like, ‘you know what, I’m suddenly mysteriously interested in the guitar’, and then picked it up, but it was only four years ago I’d say when I took an actual lesson. I fine-tuned my skills, and got rid of some of my bad habits”. In 2018, the singer-songwriter got to tour in Germany as part of the 100 shows she performed that year. The highlight was “being able to see the gigs get better, and attendance get better. “To go to a gig in the foothills of the Black Forest in Germany, and have someone in the audience know one of my songs and to come specifically to the gig just to hear that song was magical. Asked what she learned about herself on her tour of Germany, Emma replies “I learned what was important. And I learned how to wash clothes in a sink. While there, Emma met Ray Heffernan, noted as writing Robbie Williams’ hit ‘Angels’. “He had this really interesting idea. I’m sure it’s not a new one to a lot of people but he believed every seven years we ‘regenerate’, we reinvent ourselves. It kind of makes sense, you get to 14 and you’re a teenager growing into an adult, and then you get to 21 and society celebrates 21. You’re coming to 28 then and you realise things are changing, and you start to figure out what you want in life. Emma helped organise the ‘I Love Cranberries’ concert last July and that led to another voyage of self-discovery. “Through that concert, I learned how much I had a passion for coordinating stuff, organising gigs and putting stuff on, and bringing people together”. This set her “off on the trajectory of what I want to do now for the long haul, which is cool”. During the Limerick Post Podcast, Emma was joined by Breezy, a (soon to be) eight-year-old Chilier, a Cavalier Chihuahua cross, who had a photo opportunity with her which features on her Instagram page dedicated to her other passion: introducing everyone to Limerick’s canine friends. “So my first post ever was a dog called Rufus, I think he’s a Golden Retriever. The “celebration of woofers, puppers and doggos that roam our beautiful county” now boasts more than 700 followers and Emma has documented more than 100 of Limerick’s canine companions.